iSkysoft Data Recovery 3.0 is a reliable tool which can help you to solve your data loss problem. It has the ability to recover almost all common files from multiple devices including Windows computer internal/external hard drive, USB flash drive of different brands, memory SD card, iPod, MP3/MP4 players, digital cameras and others. You can free download iSkysoft Data Recovery for Windows on your computer to scan your drive to find out your lost files. The team of iSkysoft Data Recovery for Windows is dedicated to help users to recover data in different data loss scenarios, no matter you have emptied the recycle bin accidentally, formatted the hard drive which saved the important files, got the partition lost, met the data loss in system crash, lost data after upgraded your Windows system or have data loss problems for other reasons, take it easy, iSkysoft Data Recovery 3.0 can solve your problems as long as it is there. Important work file has been deleted from Windows computer by “Shift + Delete”? Previous photos are formatted from digital camera? Virus infection ruined the whole partition? Want to retrieve lost data after reinstalling Windows? Don’t worry. 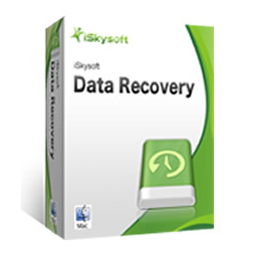 iSkysoft Data Recoveryrecovers everything you need! You just need several clicks to complete the recovery process, firstly download and install the iSkysoft Data Recovery for PC on your computer (Windows 10 supported), launch it, select the file types of the lost files from the main window. Then it’s time to point out the location / path you lost the files, after that, you can start the scanning process. “Quick Scan” is the default scanning process, if it has not found out your lost files,please trigger “Deep Scan” to scan your device more deeply. At last, preview and select the needed files to recover from the device in one-click. iSkysoft Data Recovery for Windows supports to recover 550+ formats of files from your storage devices, including images, videos, audio files, excel/word/power point documents, emails and others. iSkysoft Data Recovery for Desktop offers “Quick Scan” and “Deep Scan”,“Quick Scan” process is very quick, it can scan your drive and find the lost files within seconds if they are not overwritten or damaged. If you don’t fine the target files after the “Quick Scan”, “Deep Scan” is the best choice for you, the advanced deepscan algorithm significantly improve the success rate of data recovery, “Deep Scan”scans deeper to find out your lost data. You can preview and filter the scanned files before you click to recover them. After the scanning process, all the recoverable files are listed in this data recovery software, you have the chance to check the quality (valid or invalid) and contents before recovery. Also you can use the filter tool in the software to easily locate the data you want. With simple UI and perfect user guidance, you can use iSkysoft Data Recovery for PC directly even if you are nota professional technician. PNG, JPG, RAW, BMP, GIF, PSD, CRW, TIFF, TIF, ARWCR2, ORF, RAF, NEF, SR2, MRW, WMF, DNG, DCR, ERF, AI, XCF, DWG, X3F, etc. MP3, M4A, AIF, AIFF, WAV, WMA, MIDI, OGG, MP, MP1, MP2, MID, M4B, AAC, AMR, CWP, DVF, etc. AVI, MOV, 3GP, MP4, M4V, WMV, 3G2, MKV, MXF, MPEG, MPG, ASF, FLV, SWF, RM(RMVB), etc. DOC/DOCX, XLS/XLSX, PPT/PPTX, HTML/HTM, PDF, EPS, ODP, ODF, CWK, VSD, INDD, ODT, ODS, ODG, RTF, etc. PST, EML, EMLX, MSG,DBX, BKL, EDB, BKS, BMS, etc. RAR, ZIP, BZip2, 7z, SITX, SIT, DLL, SYS, 7ZIP, LIB, GZIP, etc. How To Install iSkysoft Data Recovery 3.0? Download iSkysoft Data Recovery 3.0 from below. iSkysoft Data Recovery 3.0 Activation Key Link is Given Below!